Your ProGrid checkered mesh high-back chair with self-adjusting mechanism combines durable, heavy-duty aesthetic with ultimate comfort. 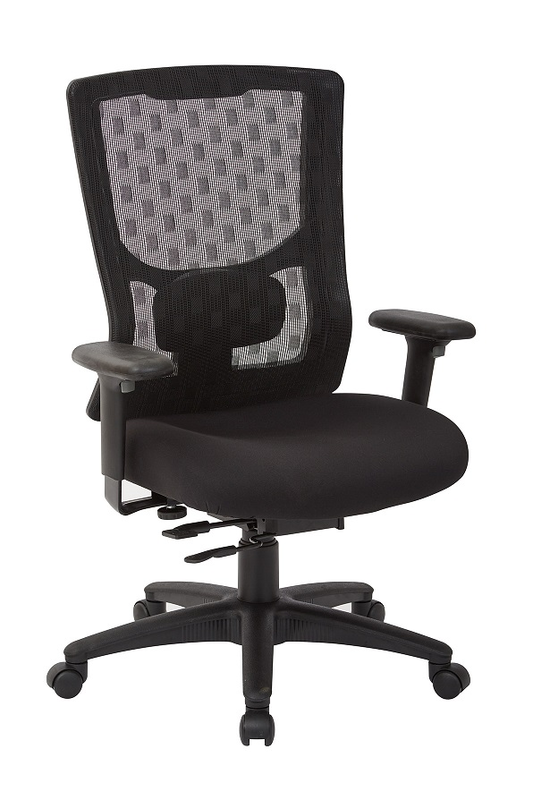 A sharply designed nylon frame braces a breathable mesh screen back with attractive checkered pattern and built-in lumbar support, while the lockable tilt tension control adds accommodating range to the thickly padded mesh cushion. Intelligently designed self adjusting mechanism features up-to-the-minute technology and adjusts tilt by using your body weight as a counter-balance resulting in perfect balance as you recline. The padded arms and heavy base finish the chair and add the touch of futurism beckoned into an office where managerial work is accomplished with style.